This Custom Brian Alan Table was built to accommodate Large and Extra Large Big Green Eggs. 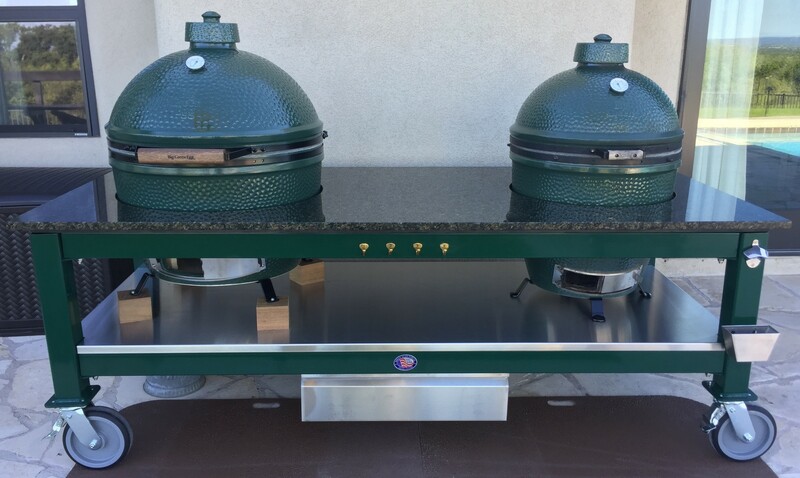 Custom options include a Uba Tuba Granite Top on a Green Powder Coated Frame with a 316 Stainless Steel Lower shelf. Other standard features include Stainless Steel Bars/Towel Racks, Bottle Opener and Catch Can, Brass Utensil Hangers and upgraded 8″ Solid Rubber locking Casters. This custom build also included a Stainless Steel Drawer.